I have had a simply lovely week this week filled with all sorts of Christmasy things. Today it is all about the white chocolate! 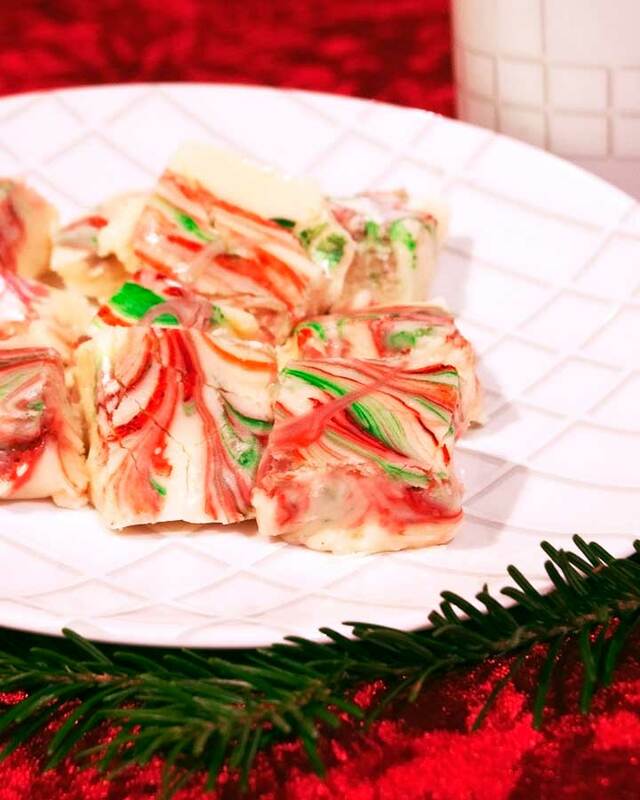 This year I had wanted to try my hand at some candy making, instead of just focusing on the usual cookies and baking. I’m not sure how much I’ll be doing, but thus far I’ve made some yummy white chocolate mint fudge. 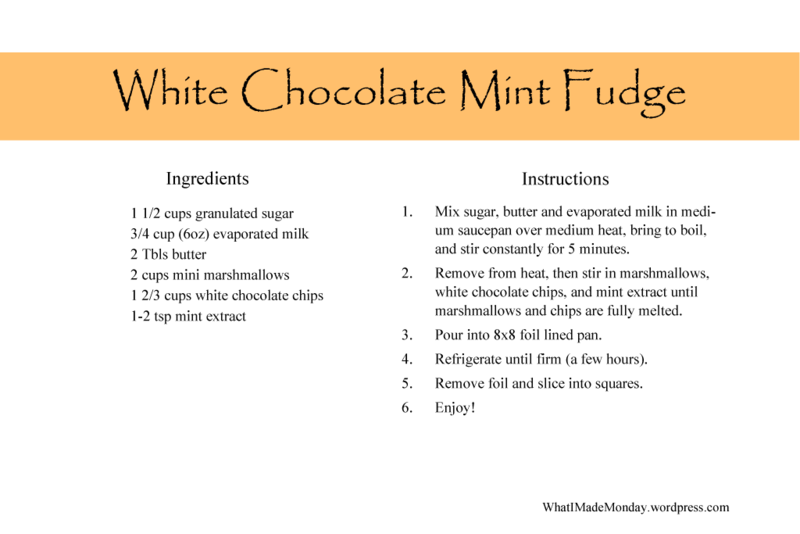 I used the Nestle fudge recipe and tweaked it a bit with white chocolate and a nice hint of mint. 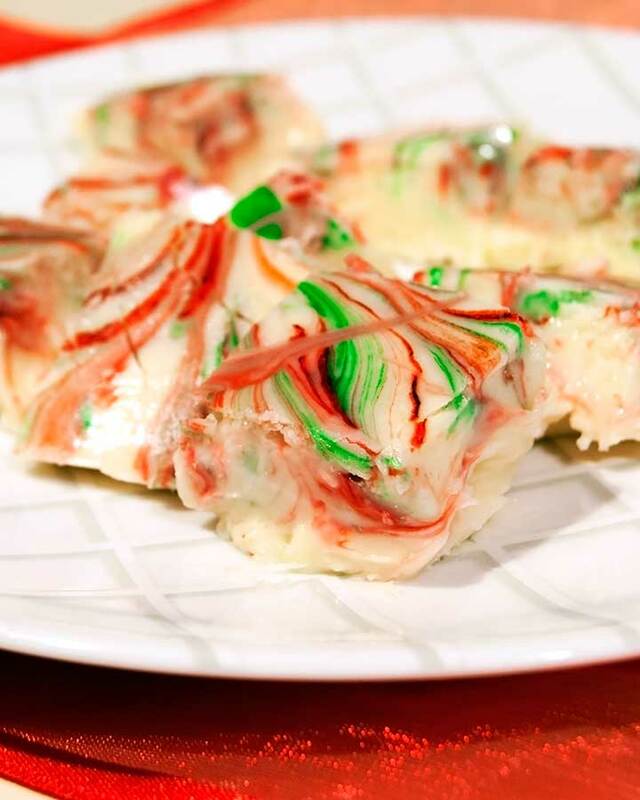 Then I added a few drops of food coloring onto the fudge after pouring it in the pan, and swirled it around for a more festive look. 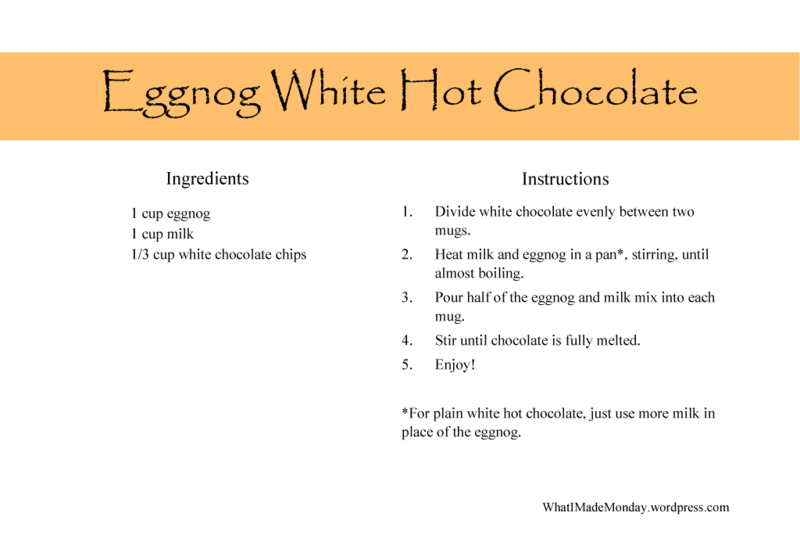 Since I already had plenty of white chocolate chips on hand, I figured that white hot chocolate sounded incredible. 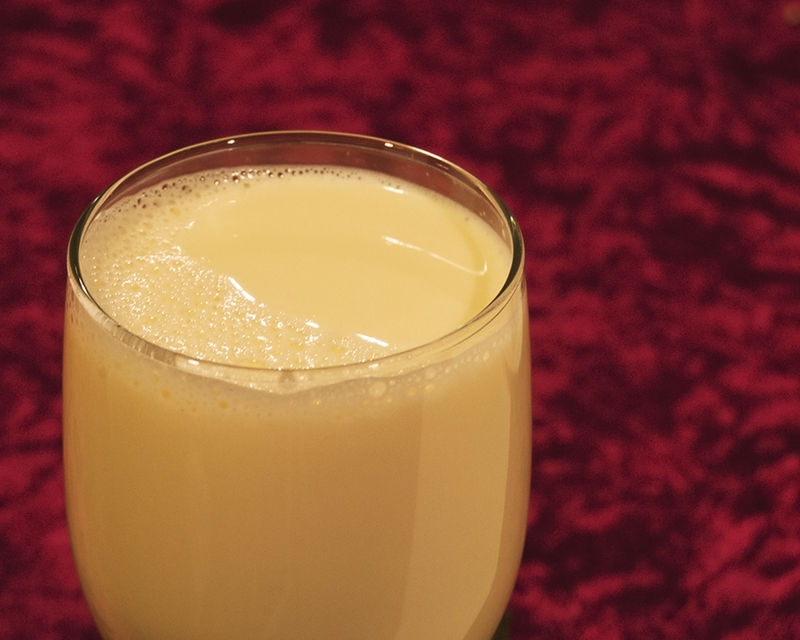 I’ve been wanting to try a warm eggnog drink for awhile, so hey, why not combine them? And that’s exactly what I did. It’s a perfect combination of silky smooth sweetness that is just perfect for the holidays and a cold winter’s evening. Do you have any holiday favorites? I hope you all enjoy! Have a fantastic weekend! I’d love to connect with you on Facebook! You can find me here. This sounds delicious, and so pretty.